Lucas Martindale Johnson, Senior Archaeologist at Far Western and Ph.D. candidate at the University of Florida, received a Doctoral Dissertation Improvement Grant from the National Science Foundation. Congratulations to Lucas Martindale Johnson for receiving a grant from the National Science Foundation for his research on ancient Maya flaked tool artifacts! Find out more about Lucas’ upcoming research at the National Science Foundation website and his past research and scientific illustrations at Academia.edu. Read the research abstract below! Social scientists continue to explore the processes by which raw materials and crafted objects move about in complex webs of political economic exchange. The evolution of exchange networks underscores the need to know how people construct their identity through consumption. Therefore, there is an increasing interest within archaeology to explore the presence of pre-capitalist market exchange in ancient states, and to question how these institutions structured material value, consumer communities, cities, and states. Situated within this broader context, the project will investigate the processes of how regional trade, state exchange, and household identity changed with the advent of marketplaces within a pre-Columbian urban cityscape in Belize, Central America. Through analyses of obsidian (volcanic glass) artifacts – a durable and economically vital stone material – this research will (1) reconstruct and trace their movement from distant raw material sources into the exchange network of a major urban center; (2) determine how obsidian was distributed to the population through regulated or unregulated political controls; and (3) explore how the crafting and exchange of obsidian helped to construct and concretize a shared local identity that endured for centuries. As crafted materials circulate, they expose political/economic/social mechanisms that provision consumers (e.g., market and/or gift exchange). Archaeology has a unique historicized perspective to study the cultural and socioeconomic value of certain objects and materials within different cultural groups as they were exchanged over vast distances. The data generated will enable the emergence of a comprehensive picture in which a study of materials exposes different societal dynamics. The research also encourages an increased collaboration whereby archaeologists as material analysts can expand technical student training through the open sharing of research methods and data. Under the guidance of Dr. Steven Brandt (University of Florida), Dr. Diane Chase, and Dr. Arlen Chase (University of Central Florida), Lucas Martindale Johnson will investigate ancient Maya regional obsidian exchange, craft production, ritual and daily events, and the communities that carried out such actions at the ancient Maya site of Caracol, Belize. Research at this ancient Maya city-state provides an ideal setting to demonstrate how a study of obsidian explores regional connections to distant obsidian-rich locations in the highlands of modern day Mexico, Guatemala, and Honduras and the economic mechanisms by which the general population were provisioned. 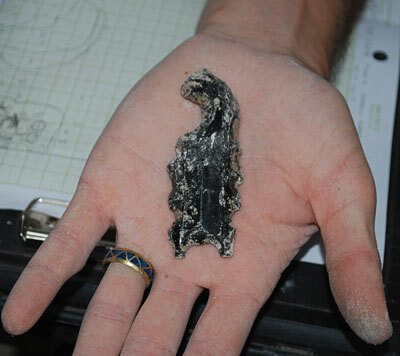 By sourcing obsidian to chemically unique geological locations, the project will discover the distance and the different social and physical pathways materials traveled before arriving at a craft production site. By conducting a sourcing analysis in which elemental composition is ascertained through the use of a portable X-ray fluorescence machine, this project will determine trade routes and regional connections. At a later date within the city of Caracol, local household consumers obtained obsidian crafts to for use as casual tools and/or ritualized materials. 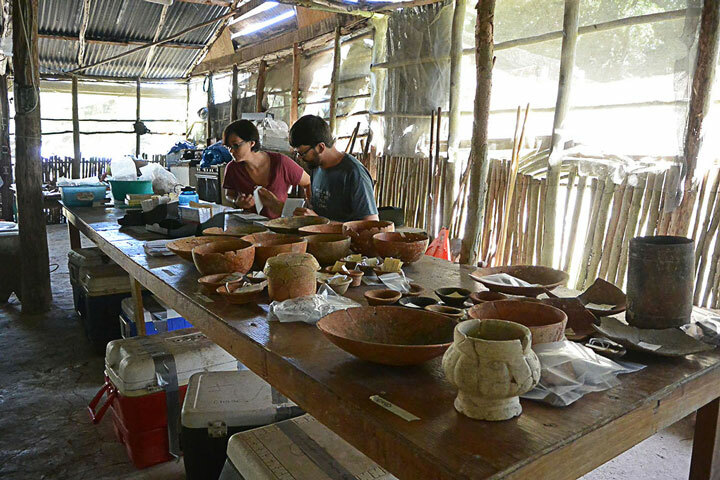 Caracol’s crafting and internal exchange mechanisms will be studied by mapping artifact distributions at more than 200 ancient Maya households spread over nearly 170 square kilometers (65 square miles). 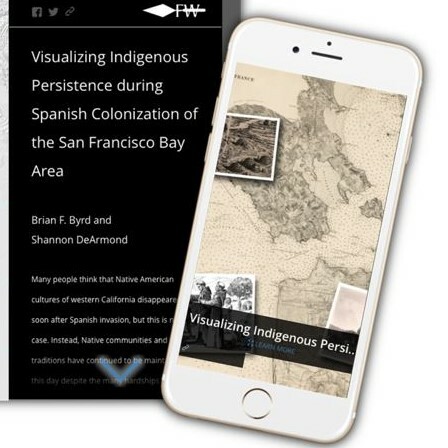 Through mapping artifact distributions, this research will explore how crafting and craft exchange may or may not have been controlled by the politically and economically powerful, as well as investigate how identities are produced through the production and use of obsidian artifacts. Tagged Belize, Caracol, dissertation, exchange, far western, flaked tools, Lisa, Lucas Martindale Johnson, material culture, Maya, Obsidian, Ph.d., research, University of Florida.